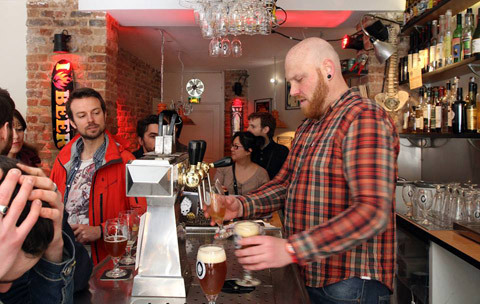 Better late than never: The first Paris Beer Week points to a growing interest in craft brews. France is stereotypically synonymous with good food and drink. After all, this is the culture that coined the term joie de vivre, has a 35-hour legal work week, and enshrined cheese as a formal meal course. And although Paris is no longer the European gastronomic capital it once was, the enjoyment of food and drink is an inextricable part of Gallic life, like cynicism and cigarettes. But for the last few decades, a good domestic beer has been remarkably hard to find in the City of Light. How can this be? According to Modern Farmer, France had 2,800 small breweries at the end of the 19th century, but by the mid-20th century they had ceded production to a handful of large companies who prioritized profits over flavor. Beer became a bland, industrial drink that was an acceptable thirst quencher, but nothing to be savored. Modern Farmer reports that by 1975, there were only 23 French breweries left. A few years ago, a renewed interest in craft and home brewing began to percolate in Paris. It’s arisen in tandem with the consomm’acteur movement, which can be summarized as “eat less, eat better.” And we’re guessing the Parisian obsession with all things Brooklyn probably played a part in the growing trendiness of small-batch suds as well. There are now more than 500 craft breweries in France, and Paris just hosted its first ever beer week featuring home brewing workshops, tastings and food pairings, brewery tours, and tap takeovers. While this bodes well for hopheads and beer nerds, craft suds are still far from mainstream: Only 11 breweries, 6 bars, and 7 bottle shops took part in La Paris Beer Week. And according to Modern Farmer, small domestic producers still find it difficult to get their beer into bars and restaurants, since many are owned or financed by the major conglomerates. 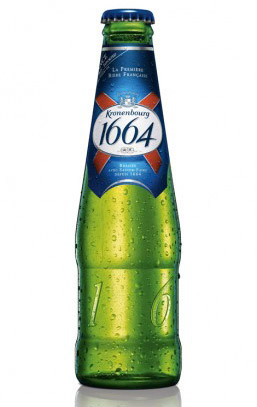 Could French beer one day reach the same prominence and acclaim as French wine? It’s a pipe dream, but not an impossibility. For now though, beer lovers need to support local brewers and initiatives like Paris Beer Week. In other words, drink more beer.